Hauck Heat Treatment (Luton) specialises in treatments for the Motorsport and Automotive sectors, and is considered to be the principal heat treatment provider to the UK Motor Sport industry servicing Formula One, Indycar, Touring and Rallying teams and their associated engine manufacturers. Low Pressure Carburising (LPC) is carried out at this facility to offer a clean, low distortion process with no intergranular oxidation. 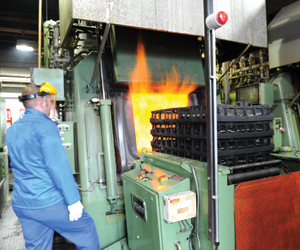 Services available at the plant are supported by comprehensive logistics coverage and, as with all of our sites, access to metallurgical and technical advice is available.